The mysterious Dr Coppelius may be far more sinister than jolly old Santa Claus, but his status as a toy-maker means he is a welcome visitor in the festive season. The Australian Ballet School confidently demonstrates the depth of their talent and the quality of their teaching in this pristine, full-length presentation of Coppélia. 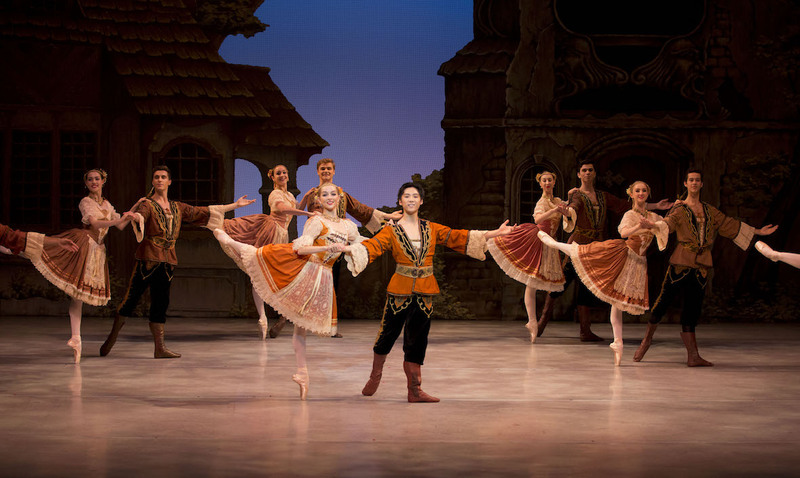 Coppélia proves an ideal choice for The Australian Ballet School. The characters of the ballet are essentially young and enthusiastic, and there are ample opportunities for featured ensembles to shine throughout the performance. 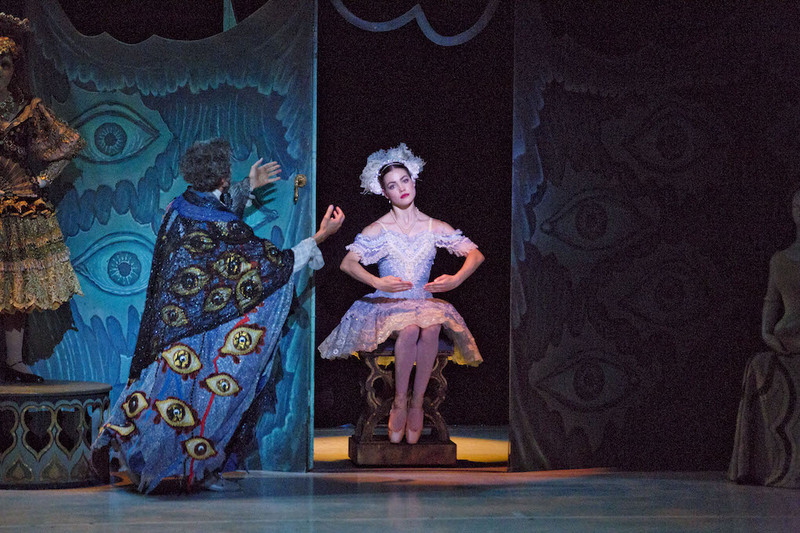 Featuring wondrous designs by Kristian Fredrikson, the Peggy van Praagh production of Coppélia harks back to 1979. Return seasons at The Australian Ballet have given the wardrobe staff the chance to ensure that the costumes are as immaculate as when first seen almost forty years ago. With many of the School’s artistic staff having had professional experience with this production of Coppélia, George Ogilvie’s original direction has been expertly passed on to the students. Storytelling is crystal clear, and the status and relationships of the characters are transmitted with flair. The relative intimacy of the Playhouse allows the intricate design details and the dancers’ facial expressions to be observed with ease. With the score pre-recorded, a thrust stage takes the place of an orchestra pit, allowing an even closer connection between the dancers and the audience. Depicting the harvest-time setting, Fredrikson drew on a palette of gentle autumnal tones. The costume designs are a masterclass in variations on complementary colours, with lead couple Swanilda and Franz neatly highlighted in matching orange outfits. While the scenic elements are somewhat reduced for the smaller stage, there is an abundance of dancers to fill the space. The capacious company was led on opening night by Emma Koppelman, as Swanilda, and Shunyo Mori, as Franz. Blessed with a blonde, sunny countenance, Koppelman is a radiant dancer, constantly beaming with the sheer joy of dancing on stage. Exhibiting deft footwork, Koppelman really impresses when Swanilda is required to hop on pointe. Once Swanilda dons the costume of the Coppélia doll and takes her place, Koppelman seizes the opportunity to give a tour de force performance. Koppelman successfully shows Swanilda alternating between bringing “Coppelia” slowly and convincingly to life, frantically trying to assist the drugged Franz and gradually realising the humanity behind the Doctor’s overwhelming love for his cherished creation. 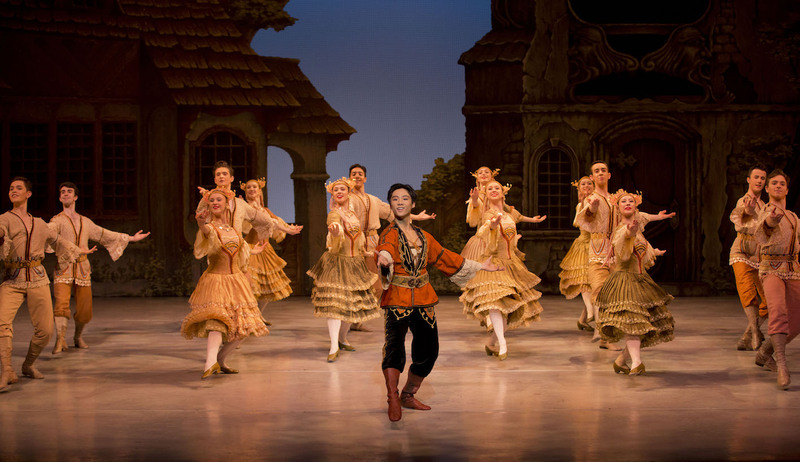 Mori performs the role of Franz with the composed, focused demeanour of a true lead dancer. While the eye is naturally drawn to Mori in company dances, his mature sense of judgement tells him when to shine and when to adopt more of a blend with the corps de ballet. Koppelman and Mori make an appealing couple, and there is a sense of relief when the young lovers are reunited and cease the quarrelling that was inflicted by Dr Coppelius’ spell. The pair’s slow pas de deux after their wedding is danced with wonderful control and precision. Mori’s terrific solo work in this climactic sequence gradually increases in pace, building up to a dazzling set of pirouettes that drew the most enthusiastic applause of the evening. Dr Coppelius is played by Simon Dow, a resident choreographer and classical teacher at the School. In his committed performance, Dow adds significant depth to the tormented Doctor, raising the character well above the status of a pantomime villain. In the festivities of act one, the distinctive members official town party are performed with characterful flair. A highlight of the featured ensembles is Swanilda’s Friends, which is clearly comprised of a well-matched set of exceptional dancers (Jasmin Forner, Kaho Kato, Riley Lapham, Abbey Murphy, Indigo Robb, Eilis Small). Act two changes the focus to the spooky confines of Dr Coppelius’ workshop. Each of the featured dancers playing Coppelius’ creations shows great control in their stillness and amusing creativity in their mechanical movements. The effect of all the dolls in action together is a delight to watch. Special mention goes to Dominic Possingham, who perfectly captures the spineless floppiness of the Unfinished Doll. 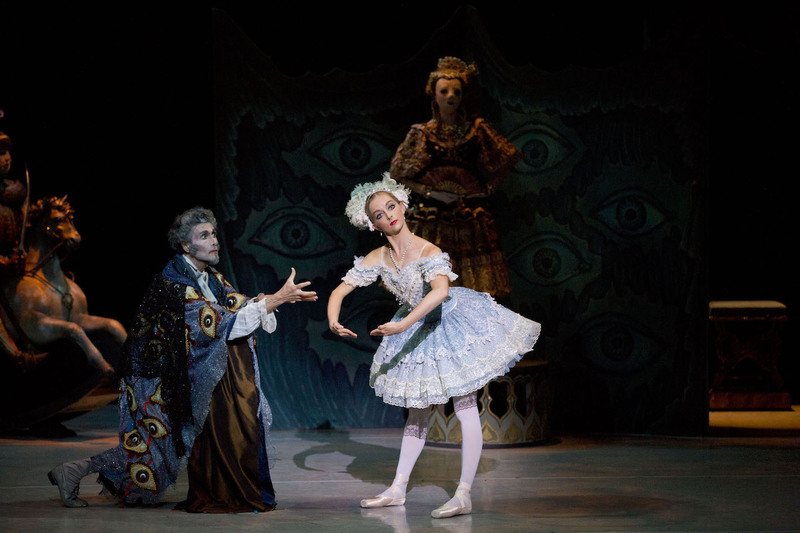 In her all too brief scenes as Coppélia, Rhiannon Tringas shows great control, moving with rigid stiffness as the doll jerks through her limited set of pre-programmed motions. As well as wonderful massed dancing, act three brings a pair of beautiful solos, as Annaliese Macdonald (Dawn) and Sara Andrion (Prayer) dance with a prominent blend of maturity and poise. As an introduction for younger audience members, the annual December season by The Australian Ballet School is not only relatively affordable but is also staged in the auditorium that is less daunting than that of the vast State Theatre. Coppélia is a guaranteed delight for children, and the pristine quality makes it a treat for seasoned ballet goers as well. Coppélia plays at Playhouse, Arts Centre Melbourne until 9 December 2017.